But careful, you'll need a jdk installed because the compilation requires some java libraries.. I've downloaded your source and ran these commands from the terminal. This is my first experience with C. Can you say what is going wrong? The screen shot from the opening post shows trees, units being rendered as 3D objects, but when I tried to to add stuff in the editor, everything is rendered as sprite. Oh, I thought you had experience with. Sorry but I really can't help you with that... I'll try to compile it for mac another way ! My bad, I put a link to the wrong archive... I just fixed that... Goodbye 2D ! I'm too curious to learn what is the problem. Can you give the command line with which you compiled for windows? This is because I can compile a hello world application with no errors. Perhaps could you try with Eclipse CDT too ? I'm going to try creating a project in xcode. I ran those command lines from a JNI tutorial which is actually for linux but I thought the commands would be the same. I sent you some command lines by message, hope it'll help you ! I'm going to retest tomorrow morning. I think this is because you need to link all the files in one command line. Thanks for the command-lines but still no luck. 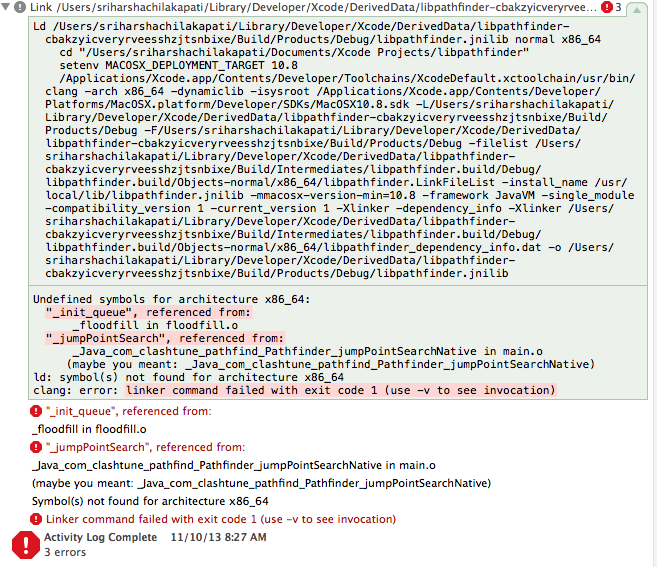 I've created a JNI Project in Xcode and copied these source files into it. Same errors there as well. Can I ask a question on StackOverflow? Gosh, you are so near from the solution.. I posted the question here. Just a question, @titoasty, I don't know why you can't just make a jar file with the mac osx libs inside it? or the linux libs, for that matter. He didn't have a mac to compile his native libs. I'm having trouble getting them to work since I never used libraries in C.
Can't he just send you the source code? It's his source code that I'm trying to compile. He sent the code to me by message. Isn't this made in Java? He used JNI to load some native libraries. It's the JNI library I'm trying to compile. I sent SHC the source code. The problem is that I have a native lib in C for pathfinding, and I don't have a mac (or even linux) to compile the library. Stucked under windows ! Can you say what steps you did to do it on windows? I've installed CDT as well but MinGW isn't available for macs. The only compiler that exists for mac is the Apple GCC. I installed Mingw, then Eclipse CDT which recognized Mingw. And then I created a new C++ project and everything compiled easily. I really don't understand why there is this problem.. Same result with the CDT too. Maybe this is a related to Apple's linker. Oh god, so cool !!! Please send me the file and I'll prepare you a mac version ! Will you give me a credit? Haha yes for sure ! With "SHC" or another name ? As Sri Harsha Chilakapati (SHC). Thanks! Do you want me to create a mac app bundle?